On December 7, 2017, IBA Group participated in HR Brand of Belarus Award 2017, a conference preceding the awarding ceremony of the same name. The event took place at the Renaissance hotel in Minsk, Belarus. Conducted since 2014, HR Brand of Belarus Award is an annual independent award designed to recognize Belarusian companies for excellence in employee management. The award is aimed at identifying, assessing, and promoting the best practices in the Belarusian HR sector. Members of the award panel, nominees, and invited experts were the speakers of the conference. IBA Group takes a lot of effort in human resource (HR) management, as the intelligence level, proficiency, and growth capacity of specialists in any business domain maps out a company’s competitive edge. To this end, IBA Group uses its proprietary software products for HR management. In 2015, Talent Constructor, an IBA Group’s software product family developed for effective management of organizational capacity, won the HR Brand of Belarus award in the special category Choice of Experts. In addition, IBA Group received the second–place prize in the category Belarus National. At the conference, IBA Group delivered a presentation entitled Human Resource Management. IT View, speaking about the company’s experience in HR management and new efficient approaches discovered while implementing projects on the HRM automation. 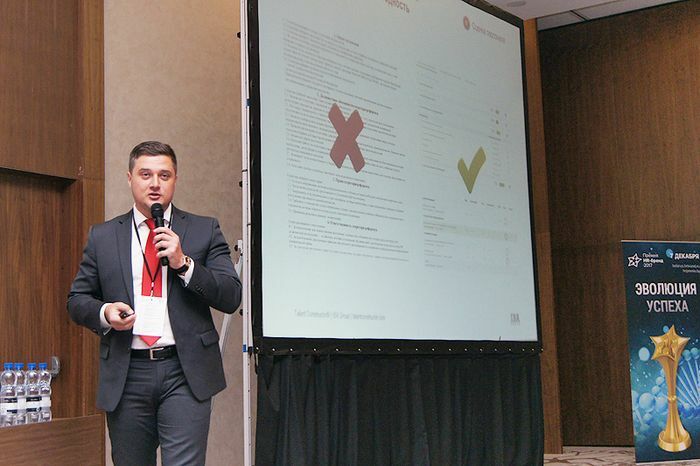 The presentation revealed that the HR management focus in Belarus shifted from compliance with laws to effective employment, development, and motivation. At the IBA Group booth, the participants were able to learn more about Talent Constructor and receive professional consultations on HR management automation. In addition, IBA Group participated in the awarding ceremony and presented a special prize to Gazpromneft – Belnefteprodukt for a project in mobile learning.